Visit our Tasting Room where quality and service are Priority One! The Fine Wine Department has Great Specials Always on Sale. A 10% discount on all wines is applied when you mix or match 6 or more bottles. 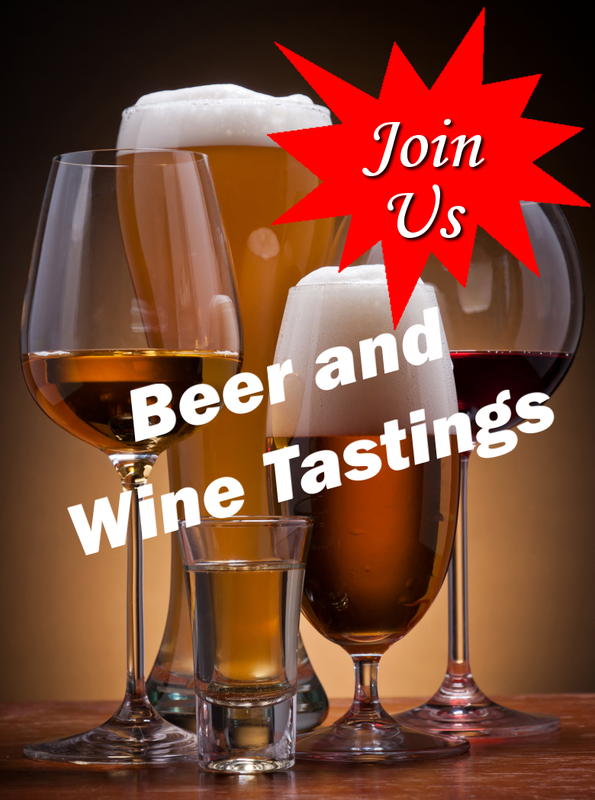 Join us on Friday, April 19 from 4 - 6 pm to taste some amazing Beers and Saturday, April 20 from 2 - 5 pm. to taste some amazing wines.